UE-V continues to spark the interest of customers I speak to around the world and a common theme in the feedback is the lightweight and efficient way it roams user state is a breath of fresh air in the face of roaming profiles and other larger user profile management (UPM) solutions. 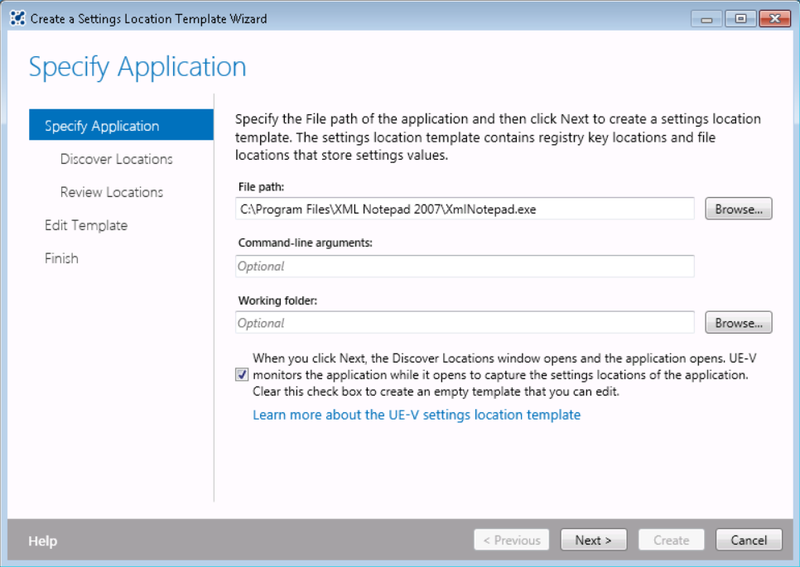 So in this post I thought I would walk you through the UE-V Generator which is used to create “Settings Location Templates”. 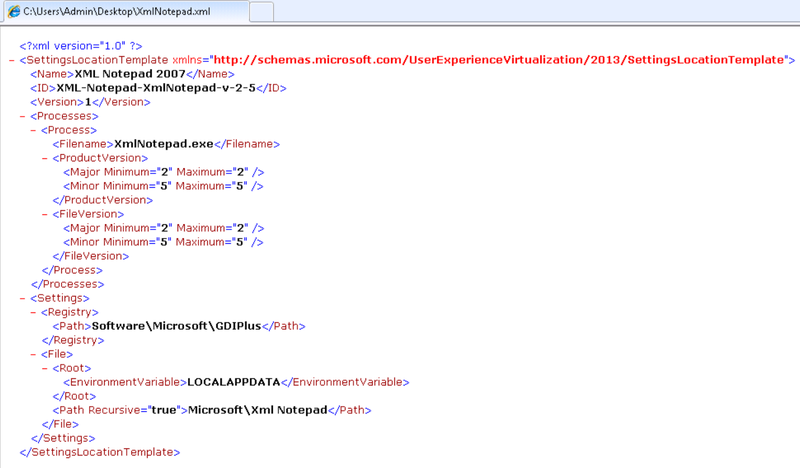 These are humble .xml files which are used by the UE-V agent (client) to understand what settings to roam for a given application. The UE-V Generator itself will be installed via the ToolsSetup.exe on the machine you wish to generate templates from, for those using App-V it can be leverage on the same build you put use as your sequencer. 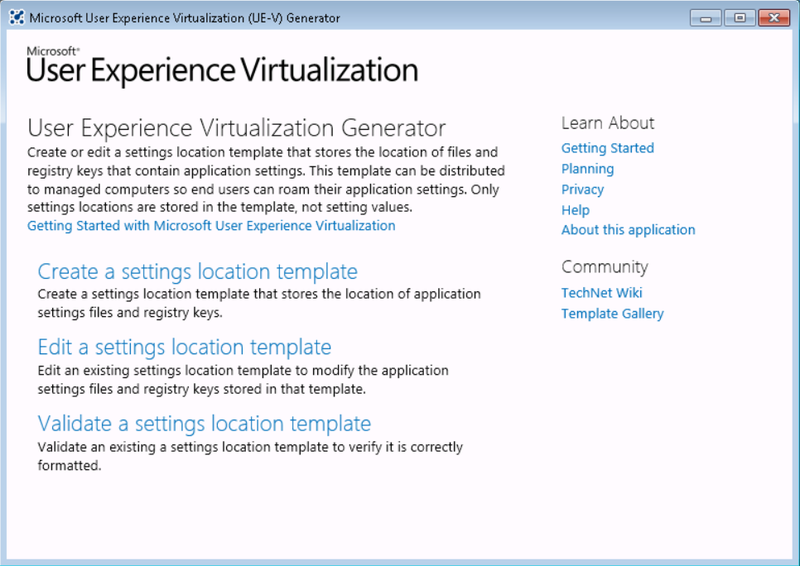 Check out this TechNet article on Installing the UE-V Generator. 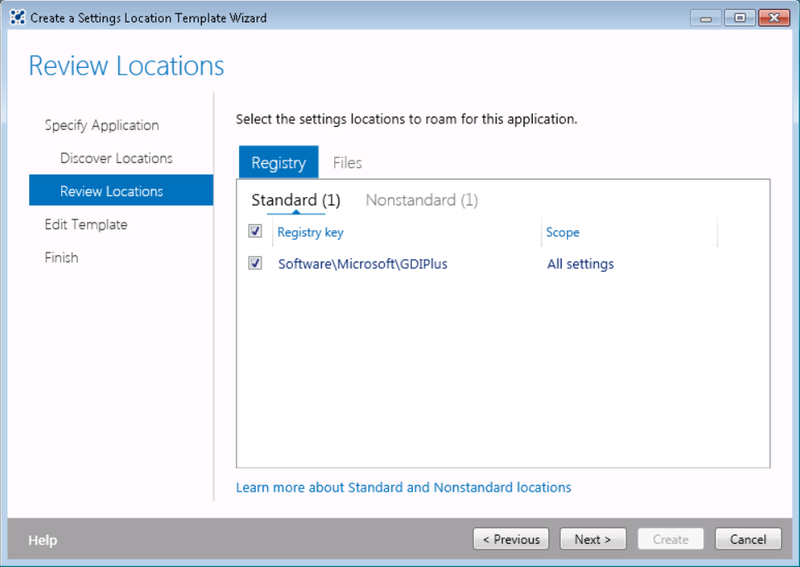 Here we have three options which are pretty self-explanatory, so we are going with “Create a settings location template”. 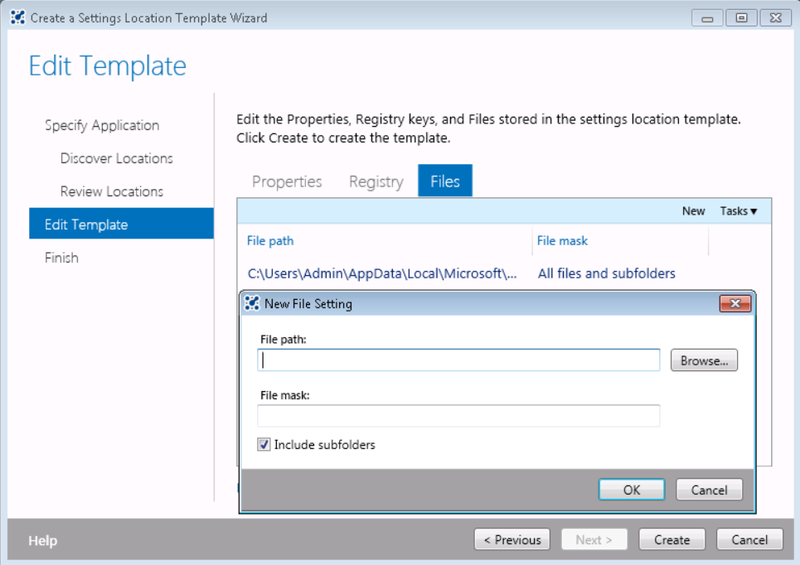 Here we specify the path to the application we wish to create an application for, hence why we have to install it prior to running up the generator. 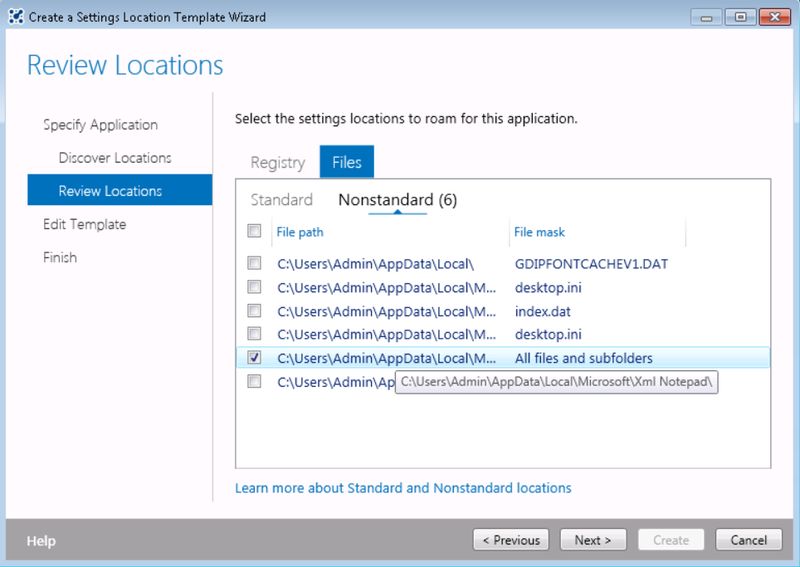 We also get the option to specify any particular arguments and the working directory. 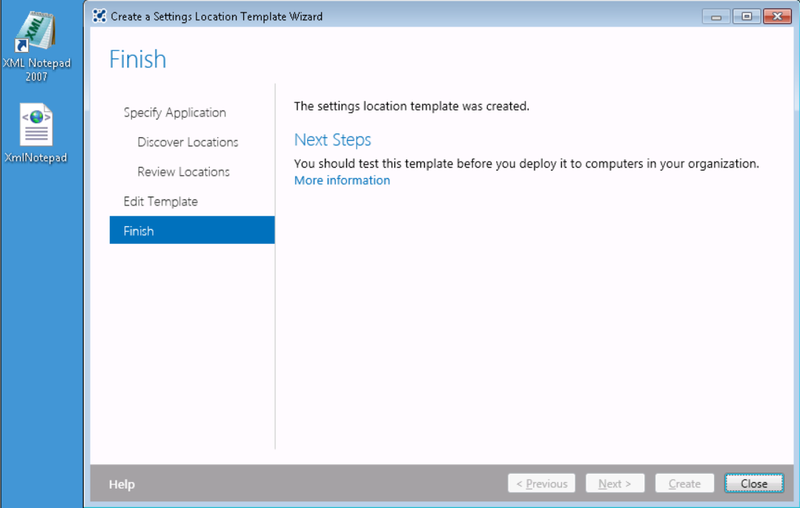 There is also a checkbox which can be unchecked if you wish to create an empty template to manually create one from scratch. Once happy click next. The UE-V Generator will load its monitoring driver component and automatically invoke the application specified in the previous screen. Once it has finished loading you can then close the application. Once we get the above message we can click next. This registry key has been flagged as non-standard as it is associated with a core functionality of the operating system and wouldn’t be something we typically would want to roam. 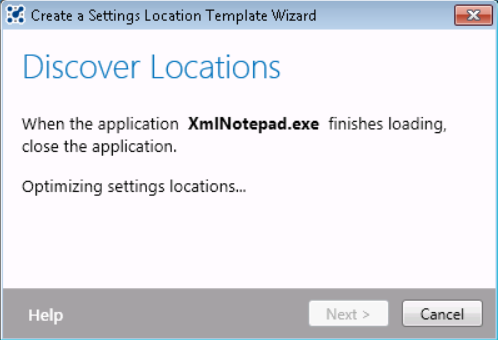 Other reasons registry or files might flagged as non-standard is if they are locations where a standard user wouldn’t be able to write or locations that might require UAC to be set, you can always override the exclusion by simply checking the box to have it included. 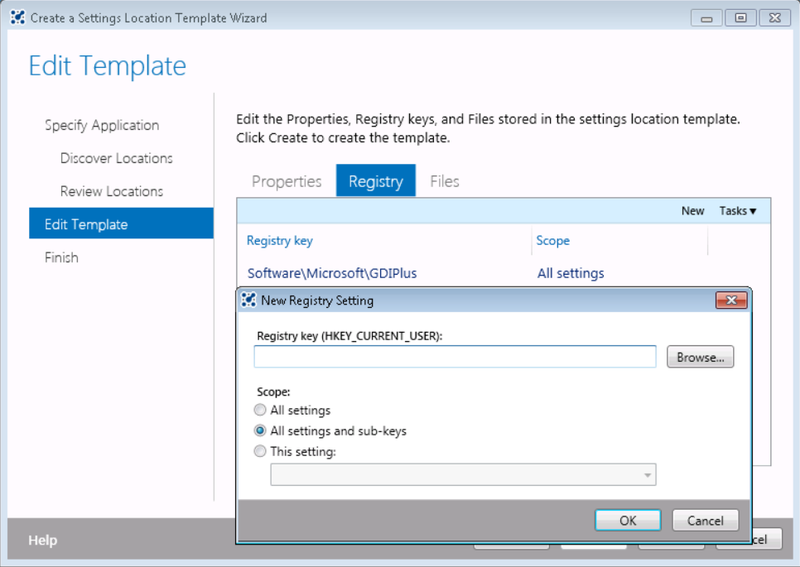 A right click will also allow us to see the registry key in regedit or file in explorer if we want to investigate further. 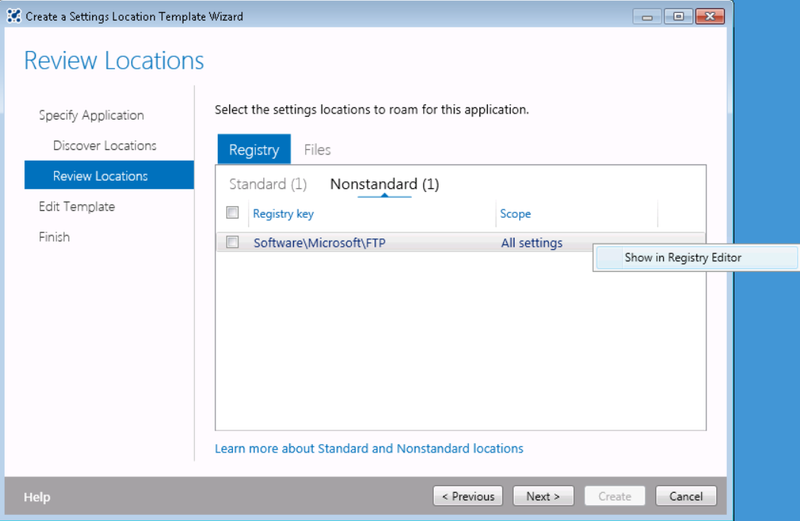 For a full explanation of non-standard settings paths check out TechNet here. We also can go through a similar process of review for file based locations. In this case, no standard locations have been picked up. 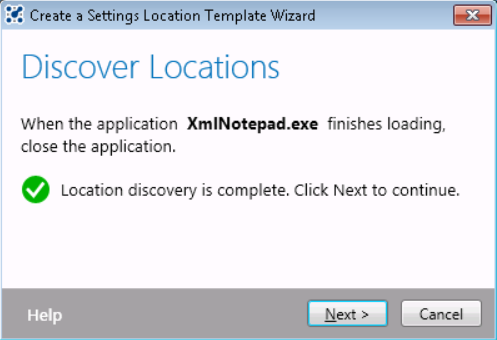 I have however spotted a non-standard location which I know to be important to my application and therefore included into my template by checking the box. 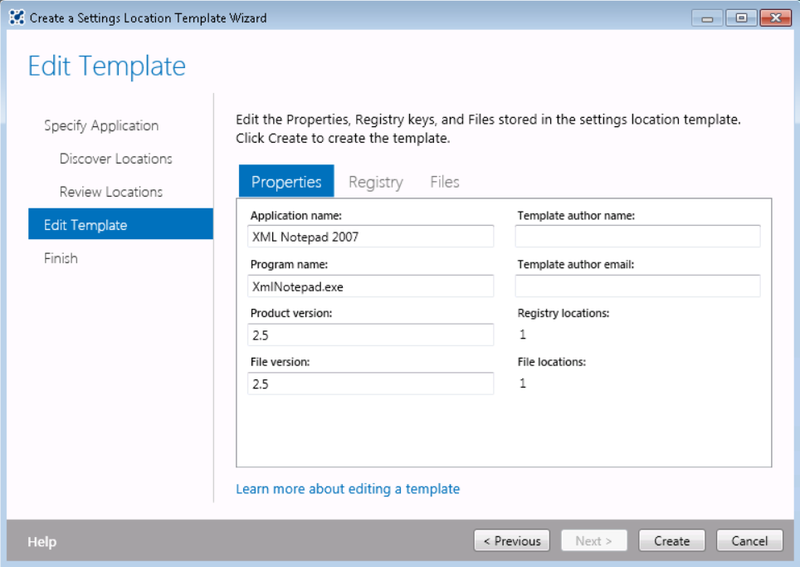 Next we get the opportunity to edit the template properties and also add in any manual file or registry locations by clicking new. We can also amend the scope here to include all the settings, all settings and sub-key or just a particular setting. For file system we can choose whether to include sub folders or not. It all depends on what we are trying to achieve. When we are happy we simply click create, we will be prompted on a location to save out to. This your template! 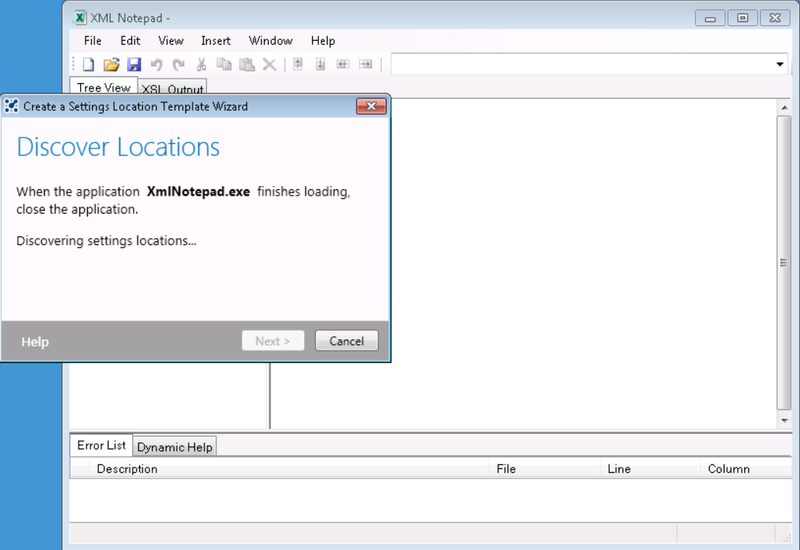 It will include all the metadata about your template and what you want to roam for the given application. All that is left to do is get out to your clients. Stayed tuned as I will post around this and more very soon! Use the “Subscribe” form below to never miss a VirtualVibes beat and get notified next post.